Obituary – Lewellen, Jack Duane « Perry High School Alumni Association, Inc.
Jack Duane Lewellen, 94, went home to be with his Lord and Savior on Friday, October 7, 2016 after a brief illness, at Stillwater Medical Center. Arrangements have been entrusted to Trout Funeral Home of Perry, 1408 North 7th St. The church service will be at 2 p.m. Tuesday, October 11th at Calvary Baptist Church with Rev. Sam Davison Officiating. Interment will follow at Grace Hill Cemetery. The Family will receive friends from 6-8 p.m. on Monday evening. Jack was born on January 25, 1922, Orlando, Oklahoma to Elmer and Verna Lewellen. He attended Orlando Schools until his sophomore year in high school when they moved to Perry. He graduated from Perry High School in 1940. Jack attended Northern Oklahoma Junior College for 2 years where he obtained an associates degree in commerce. After graduation he enlisted in the U.S. Army where he worked as a recruiter obtaining the rank of sergeant. He later was stationed at Camp Maxey, in Paris, TX at a German prisoner camp. After his discharge he returned to Perry where he worked at Famous Department Store and later was employed at the First National Bank where he retired in 1985 after 35 years of employment. He married Helen Marie Neal on February 14, 1943. Their courtship was convenient as they lived next door to each other. To this union were born three children, Sandra Kay, Colin Duane and Kelly Neal. The family loved to travel and would take vacations to places like Niagara Falls, Yellowstone National Park, Mount Rushmore and many other interesting places in the U.S.
Jack is preceded in death by his parents, his wife, a sister: Norma Jean and brother-in-law Charles Lawson. He is survived by his three children: Sandra Davison and her husband Sam, Colin and his wife Marcella and Kelly and his wife Sheila; six grandchildren: Sindy Brown and husband Brad, Suzanne Ohsfeldt and her husband Kyle, Samuel Davison and his wife Brittany, Carey Dale and her husband Vincent, Tiffany Williams and her husband Bobby, and Jason Lewellen; fifteen great-grandchildren and one great, great-grandchild with one on the way. Jack served the Lord all his life and really liked to read his Bible, listening to great preaching tapes, DVD’s and reading books that instilled in him to have a closer walk with God. He would take the time during his lunch hour to memorize Bible verses. He also listened to well-known Bible preachers on the radio. 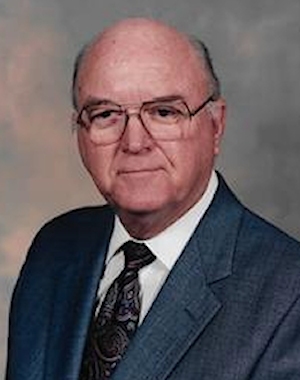 He was a faithful member of Calvary Baptist Church and a great prayer warrior praying for his children, grandchildren, great-grandchildren and great great-grandchildren. Dad will be greatly missed as he loved life, his family, revisiting the good “ole” days and watching sporting events on TV which was done with his eyes sometimes closed. Memorials may be made to the Wheatheart Nutrition Project, care of Trout Funeral Home, 1408 N. 7th Street, Perry, OK 73077.